In our Cut Flowers catalog you can find a wide collection of cuttings of Scabiosa SCOOP®. The series is known for its unique flower shape and strong colors. The flower extra fluffy, rich texture is a great addition to a flower arrangement or a bouquet. The Scabiosa SCOOP® also known as a Pincushion flower is bright colored cushion shaped flower available in 17 adorable colors, is a high productive cut flower, thus is very good for farms and growers. 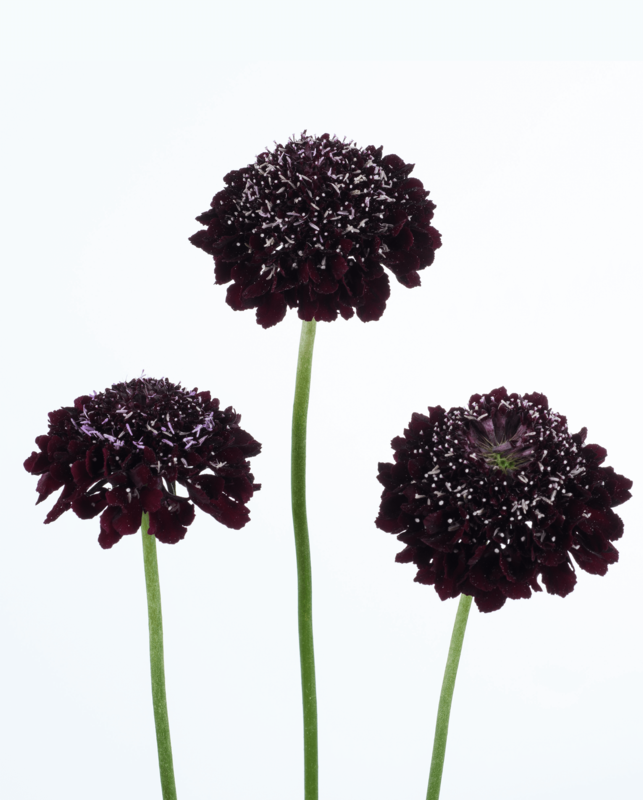 The Scabiosa Blackberry SCOOP® is an award leading variety. Danziger the leading company in breeding and producing a wide variety of extraordinary Scabiosa cut flowers. We apply the most advanced innovative cultivation techniques to deliver outstanding quality of Scabiosa cut flowers. Our global operation ensures you receive elite quality vegetative materials in optimal condition. Danziger leads the way in cut flowers that customers love and growers trust. We noticed you are visiting this website from EUROPE & REST OF THE WORLD. To make sure you can get the most accurate information Please choose the catalog of you region.